Using just their imaginations kids have been having conversations with their toys for years, but an upcoming version of Barbie will finally talk back to them. And we're not just talking a handful of catch phrases spewed forth after a string is pulled, but a legitimate back and forth conversation powered by advanced voice recognition, and a wireless connection to the internet. Hello Barbie will be available later this year, and will certainly be one of the most sought after toys this holiday season. Using speech recognition and conversational intelligence technology developed by San Francisco's ToyTalk, Barbie will finally actually listen to what kids are saying to her, and respond with appropriate answers or questions of her own. 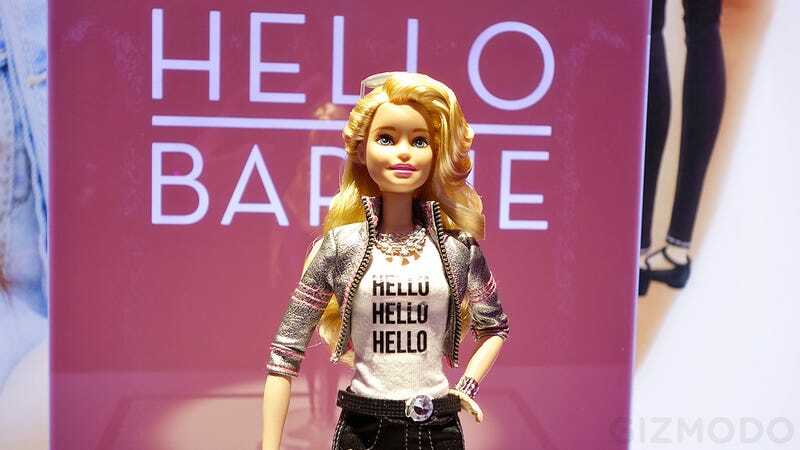 Hello Barbie's inquisitiveness isn't just a way to keep a kid engaged, it actually helps the toy build a customized cloud-based database of a child's likes and dislikes. So if at some point they happen to mention how much they enjoy performing, Barbie will actually work that tidbit into future conversations. If a child starts talking about what they want to be when they grow up, for example, Barbie might suggest jobs like a singer or a dancer as a result.